. :NEW PRODUCT - 10mm RGB LEDs (x3):. 25 April 2012 • . :oom lout:. These are great large RGB LEDs. 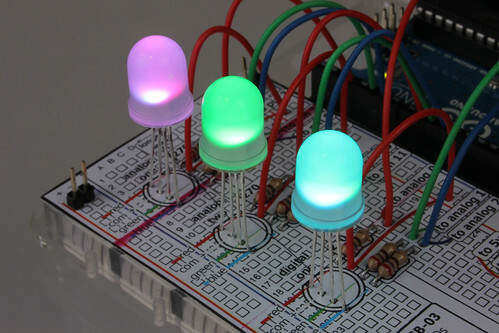 You'll get three 10 mm RGB LEDs, nine current limiting resistors and a printed quick start guide to get you up and creating colors in no time. Frosted lens means a wide viewing angle. Their size and brightness means there'll be no trouble noticing them.